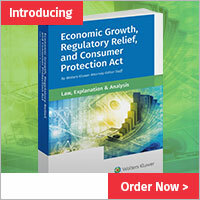 Chapter 8—Provisions applicable to all securities professionals. M&A broker-dealer exemption. A merger and acquisition broker-dealer would be exempt from Vermont broker-dealer registration requirements unless the M&A broker-dealer: (1) receives, holds, transmits, or has custody of funds or securities, either directly or indirectly in connection with the transfer of ownership of an eligible privately held company, that are to be exchanged by the parties to the transaction; (2) engages on the issuer’s behalf in a public offering of any class of securities registered or required to be registered with the SEC, or engages with an issuer required to file periodic information, documents and reports; or (3) engages on any party’s behalf in a public shell company transaction. Regulation Tier 2 offerings. Issuers intending to make a securities offering under Tier 2 of federal Regulation A would file a notice before the initial offer and/or sale consisting of: (1) a complete Regulation A—Tier 2 Notice Filing Form; (2) copies of all SEC-filed documents; and (3) a $600 fee. 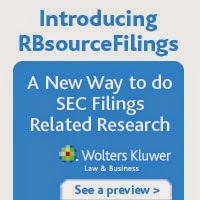 Issuers could renew the offering for an additional 12 months by filing before the current notice expires a Regulation A—Tier 2 Notice Filing Form marked “renewal” or a cover letter requesting renewal, and a $600 fee. Cybersecurity procedures. Securities professionals would need to create and maintain procedures reasonably designed to ensure cybersecurity. The Vermont Securities Commissioner could determine the “reasonableness” of those procedures by considering a firm’s size, third party relationships, employee training policies and procedures, authentication practices, use of electronic communications, automatic device-locking mechanisms, and lost or stolen device reporting process. Vulnerable adult financial exploitation protection. Qualified individuals who reasonably believe that an eligible adult has been or is currently being financially exploited would have to notify both Adult Protective Services in the Vermont Department of Disabilities, Aging & Independent Living, as well as the Vermont Securities Commissioner. Qualified individuals who exercise reasonable care in making the above notification would be immune from administrative or civil penalties. An eligible adult’s broker-dealer, investment adviser or qualified individual could delay disbursing funds from the eligible adult’s account upon reasonably believing from an internal review of the requested disbursement that it may result in financial exploitation.